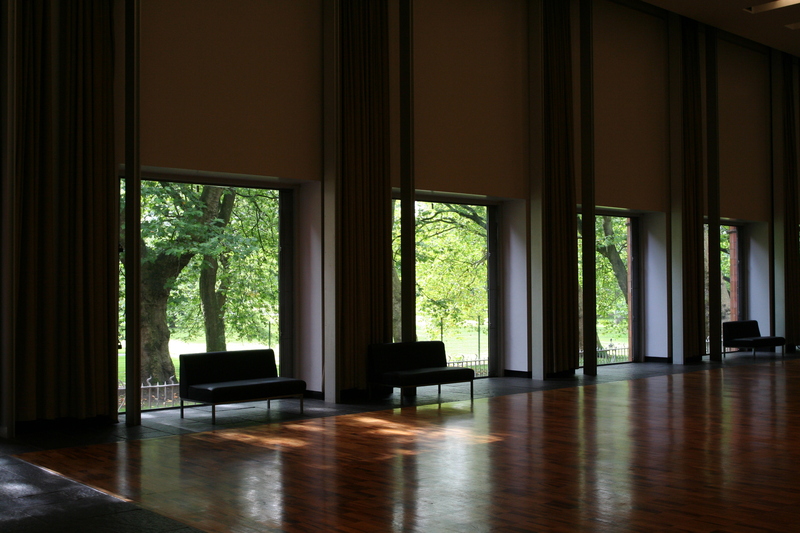 Gallery in the Park | The Whitworth. Manchester's gallery in the park. 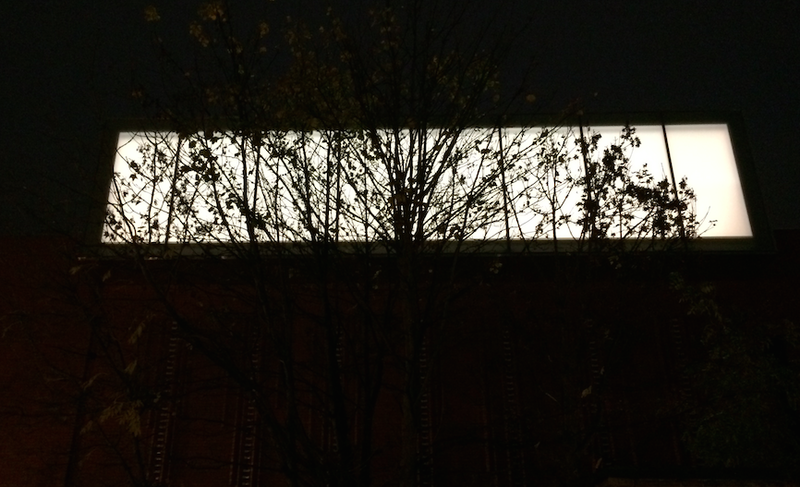 The Whitworth. Manchester's gallery in the park. We are really looking forward to having Imperial Photo Booth at our event in February. They specialise in hiring photo booths which print out photos there and then. The photos will be a great memento for the guests and something to remember the night by. With the addition of props such as wigs, glasses and masks we expect this to be a very fun night. If you would like to get in contact then check out their website below they cover all over Manchester and the UK. It is a fantastic addition to any event. 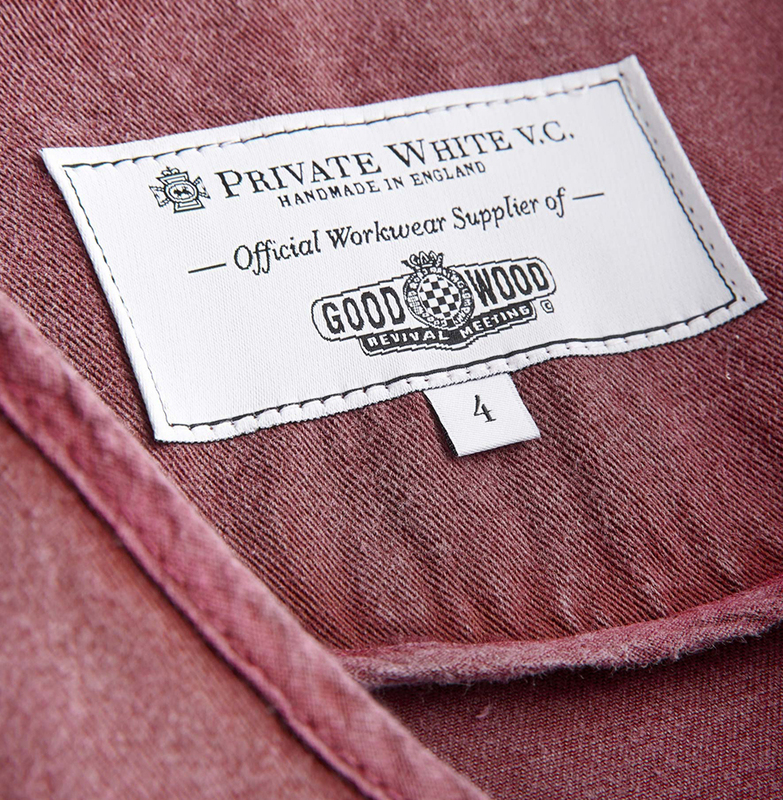 The history of Private White V.C., a premier British clothing brand, is an interesting one. Its factory was where a certain Jack White, the recipient of the Victoria Cross, served an apprenticeship after the First World War. Jack later became the factory’s owner and, although he sold it in 1949, it was acquired by his great-grandchildren in 1997 – bringing the factory back into family hands and giving rise to the Private White V.C. brand named in his honour. What has this to do with the Whitworth? Private White V.C. is not only a British brand. It is a Manchester one. And a version of its beautiful, locally-made Goodwood Worksuits are now being worn by the gallery’s visitor teams – part of Private White V.C’s support for the new Whitworth. The Goodwood Worksuit, based on one of Jack White’s clothing staples, a cotton worksuit, was originally created for the Goodwood Revival and is worn by staff at its annual three-day British vintage motoring festival. Made from Lancashire-woven cotton, the worksuits feature double-stitched seams and are highly durable, but they are also, thanks to a special pre-washing process, incredibly soft and comfortable to wear. Which is good, as Private White V.C. has created a special version of the worksuit for our gallery staff. Featuring a worksuit jacket and jerkin, both have been dyed a bespoke grey to match the gallery’s colour palette. The uniforms also feature the first ever Private White V.C. women’s worksuit jerkin, designed especially for us. 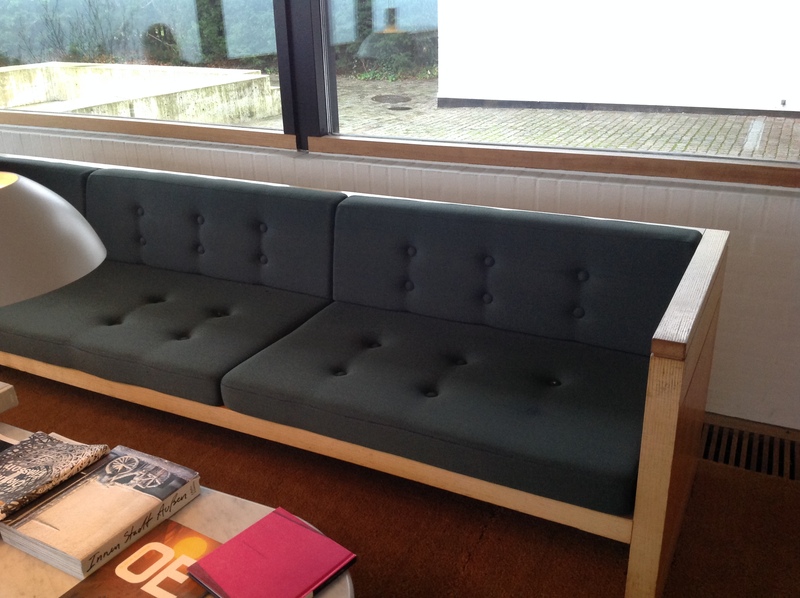 Local, sustainable, historic and with a little bit of innovation and flair: our new Private White V.C. uniforms somehow feel very Whitworth. Press and Publicity – 2 weeks to go! Things are really hotting up and this last week has seen the architectural press descend on the Gallery, as well as our reopening publicity campaign hit both the streets of Manchester and the capital. 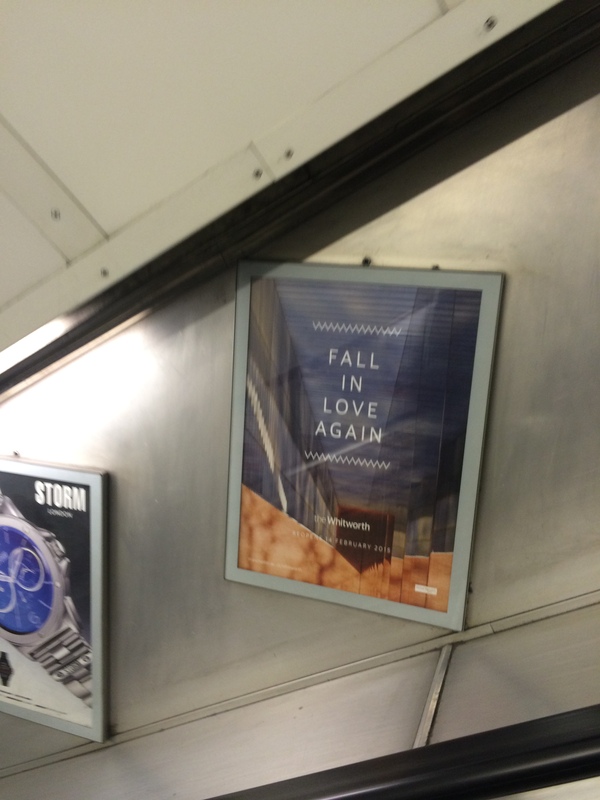 The poster above was spotted by eagle eyed Florence, 11 year old daughter of MUMA architect Simon Usher – she was chuffed! Gallery Director, Maria Balshaw together with Stuart McKnight of our architects, MUMA, hosted a press launch at the Gallery on Wednesday including presentations, in-depth interviews and tours of the new building. 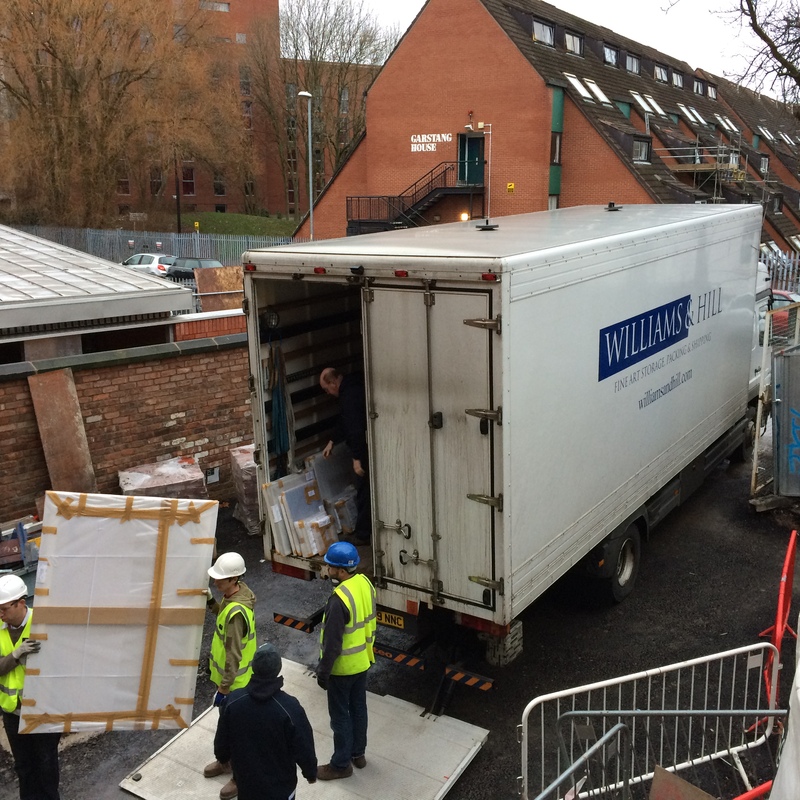 Although the final hanging of the Gallery’s collections and exhibitions is still on-going, staff and contractors at the Whitworth had gone to great lengths to make existing spaces and the new building look its best, and there was a highly positive vibe to the day. We are truly counting down now to our reopening on 14 February – be prepared to ‘Fall in Love Again’. 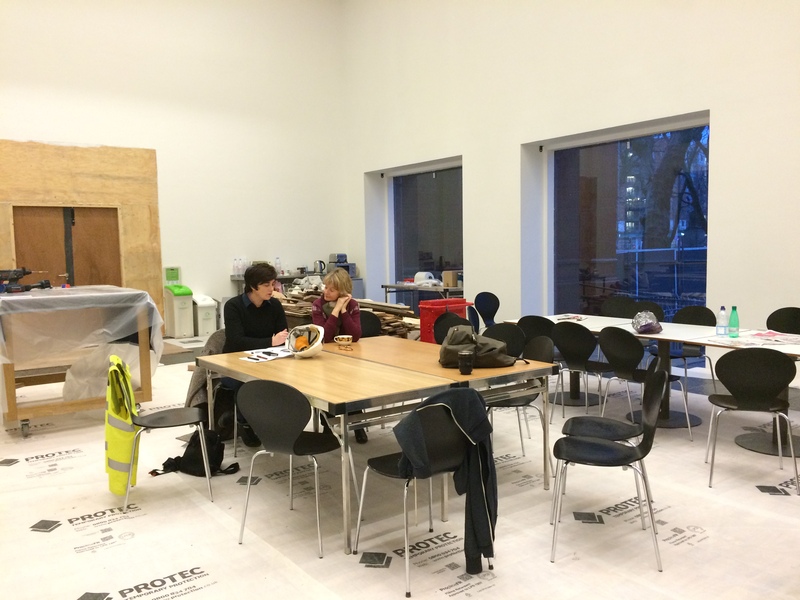 The Whitworth welcomes a Cultural Park Keeper! Francine with Patrick Osborn, the Gallery’s new Landscape and Sustainability Technician. So what is a Cultural Park-Keeper? Now, that is a good question and the next three years (thanks to funding from Esmee Fairbairn Foundation) gives us the opportunity to find out. My name is Francine Hayfron and last summer as I came across the job advertisement for this post, my heart literally skipped a beat! For the past few years I had been working for an Arts & Wellbeing charitable organisation based in Salford that would use artistic mediums including horticulture, to help people that are experiencing emotional difficulties and those that feel isolated or excluded from their communities due to a decline in their mental health. It was here that I learnt to really appreciate how engaging with the outdoors can have an impact and help to improve a person’s mental health. Job opportunities like this rarely present themselves (especially here in Manchester), so I knew that the role of the Cultural Park-Keeper was something that I wanted to get my teeth into! I’ll be working indoors and out, mostly in the park, reaching new audiences and people – park users and local communities. I will be working closely with the gallery staff, the Friends of Whitworth Park and other external agencies to develop new ways of working with and engaging the communities that surround us. As well as developing large-scale family friendly events in the park (especially in the summer), one of the upcoming highlights will be the launch of a new Horticultural Wellbeing programme later this year. This will highlight the benefits of using art, gardening and horticulture to aid mental health and promote wellbeing. Above all, this role will allow us to create fresh and exciting activities and partnerships with a focus on the great outdoors and natural world in an urban context. So, I will not be found telling people to “keep off the grass” or pruning the herbaceous borders but I most certainly will be exploring how to bring nature and culture together. The photo shows Francine with Patrick Osborn, the Gallery’s new Landscape and Sustainability Technician. We’ll hear from Patrick soon! Having had a much needed break over Christmas and the New Year we have now all come back to the last great push to get the Whitworth ready and open for the public on Saturday 14 February. Both of our contractors, ISG and MCC are working hard on the finishing touches and everyday sees another element completed. At the same time, Gallery staff are busy finalising events and activities for the opening and following weeks, ensuring that our shop and cafe will be up and running, talking to the world’s press and launching our opening campaign, and in addition to our exquisite new building making our existing galleries look beautiful too. 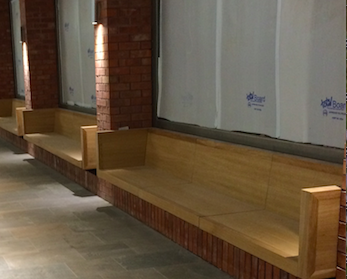 Some of us are still off-site in temporary office accommodation, while others are camping out within the galleries – yesterday while escaping the noise of floor sanding, I was snapped sitting cross-legged on site! 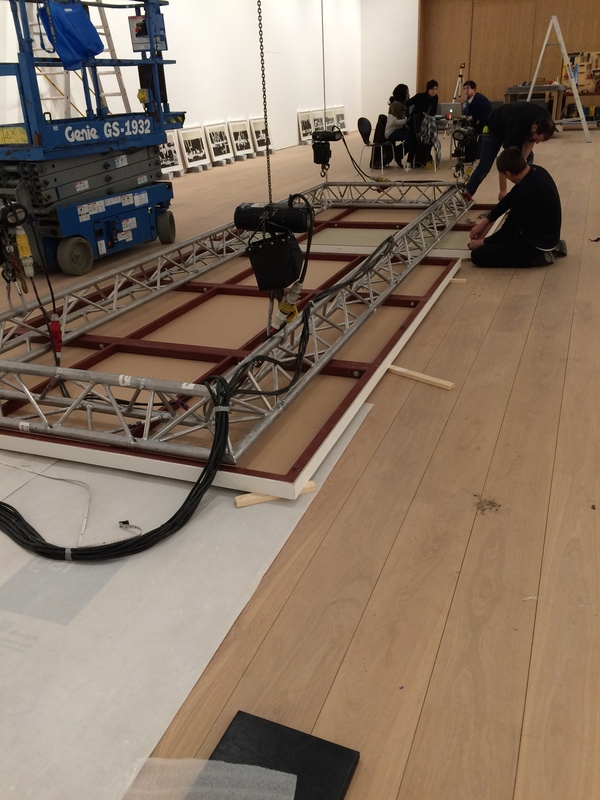 One of the biggest jobs currently facing us is to install the full programme of opening exhibitions. Works of art are being brought in from off-site stores and lenders, complex structures being built to support new artist installations, individual objects condition checked and finally art being hung on the walls. 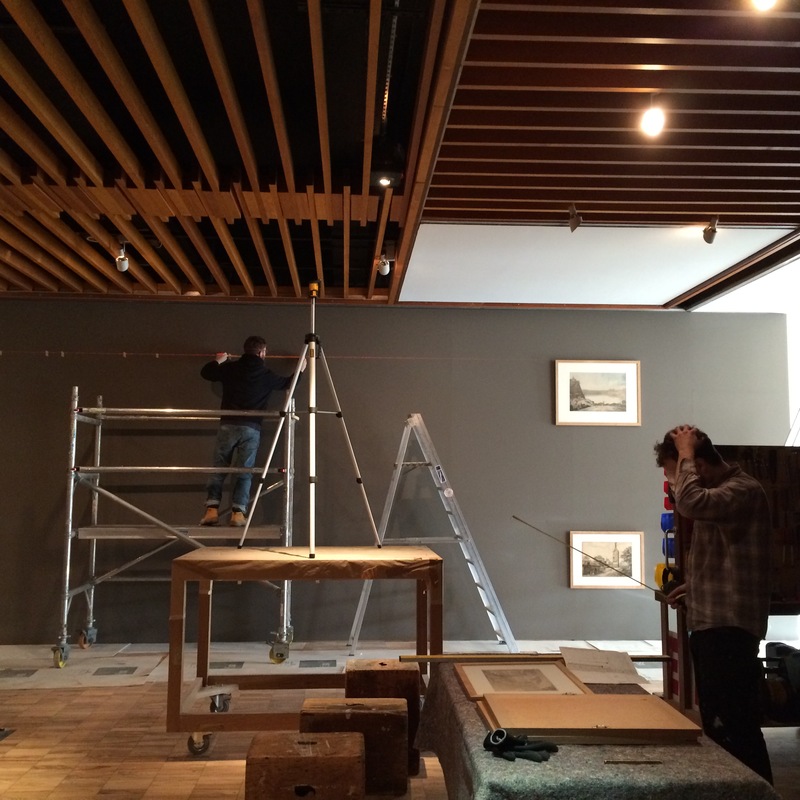 There is a great buzz in the Gallery and a huge excitement growing – its great to see art going back on the walls at last. This week, Manchester (and the Whitworth) was 26th in the New York Times list of ‘Places to visit in 2015’ (see: http://www.manchestereveningnews.co.uk/news/greater-manchester-news/manchester-named-new-york-times-8430806), so if you haven’t already put our reopening date in your diary, then do so now! It is almost two months until we reopen our doors to visitors and a good time to reflect on the wonderful MUMA designs for our new building and how, in part, they reference the earlier architectural design intervention of John Bikerdike and Partners in the early 1960s, and in turn Scandinavian design. 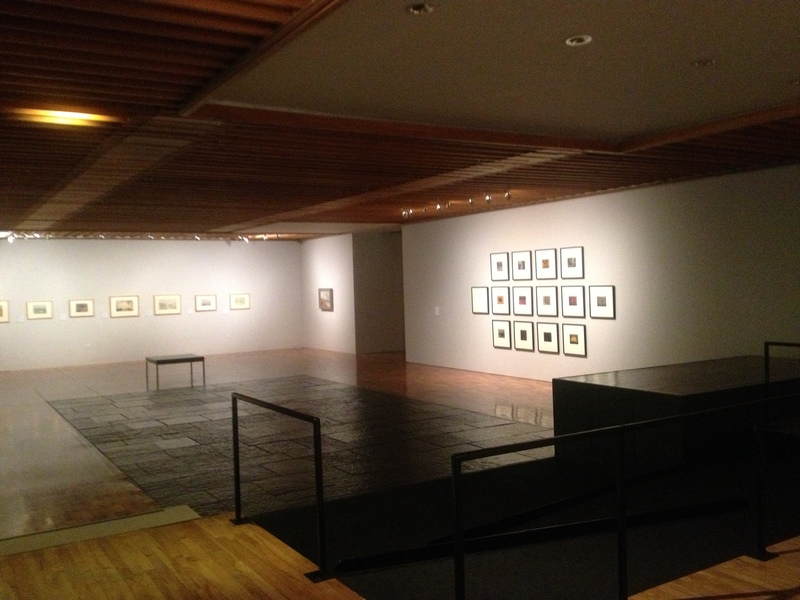 The original gallery had developed in phases during the period 1889-1908 and little else done until the major modernist redevelopment soon after the gallery was handed over to the University of Manchester. 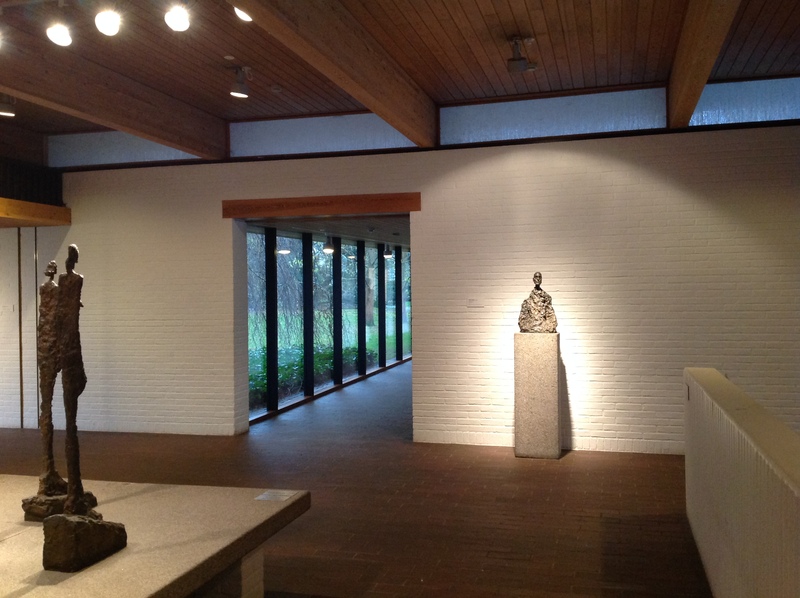 When MUMA first visited the Whitworth, during the architectural competition in 2009, they commented on the quality and beauty of the natural materials used by Bikerdike – stone, elm panelled walls and loliondo hardwood flooring. These materials were a modern equivalent of the terracotta, marble and oak parquet floors from the original Edwardian building, and MUMA were determined to continue this tradition of working only with good quality materials and the highest standards of finish. 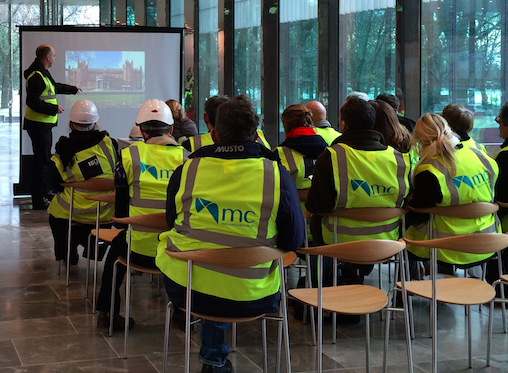 In addition the brief to MUMA was to reconnect the Gallery with the external landscape – providing new views out to Whitworth Park and bringing the outside in. And, as the new building development nears its completion, there is no doubt at all that this latest architectural intervention is meeting the brief. We are currently deliberately avoiding publishing too many photographs of the new building – excitement is growing and we don’t want to spoil the surprise! On Friday of last week, I visited the Louisiana Museum of Modern Art, just north of Copenhagen; it was my first visit, and I absolutely loved it. The parallels between each of the three architectural visions are obvious – the placement of the building within the surrounding parkland, the play of light, natural materials, the connections between the art and the landscape – the list goes on. I spent over 8 hours at Louisiana and took hundreds of photographs – it was impossible to decide what to include here, but in the end I was taken by an evening view into the gallery that almost replicates a view of the amazing new window that looks over Denmark Road in Manchester! 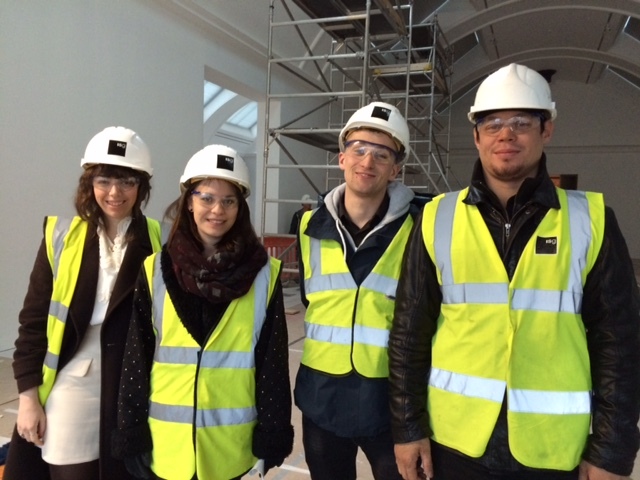 It has been all-systems-go for the new Visitor Team Assistants who were recruited early last month ahead of the gallery’s opening in February. We have been busy researching the Whitworth’s collections, attending learning sessions from other gallery teams and preparing new versions of Whitworth tours – with lots of tea and cake besides! 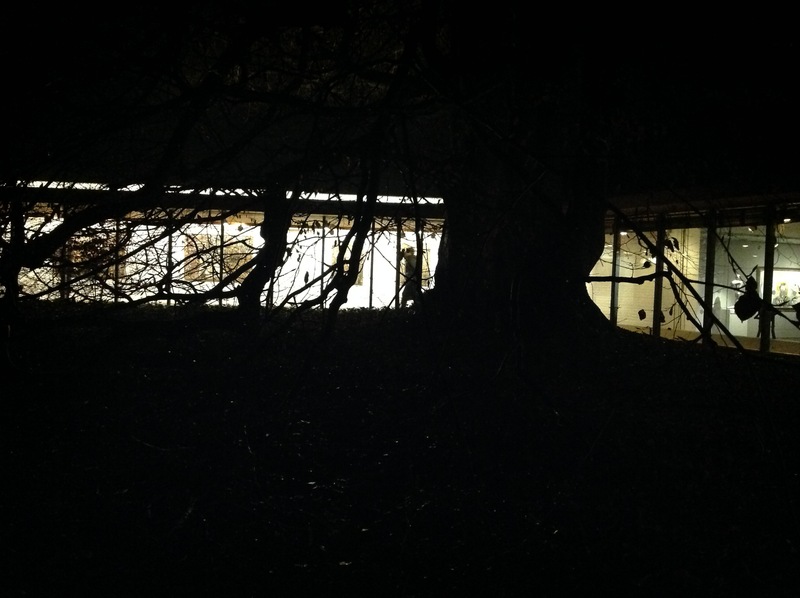 With the Whitworth currently being transformed into a 21stcentury gallery in the park, we are also re-envisioning what it means to be part of a Visitor Team and how we engage with our spaces inside and out. The Whitworth is refining its take on engagement and accessibility so it’s a very exiting time to be a part of the next chapter in the gallery’s history. Thinking a little differently, we are drawing from all sources to inspire our approach, moving beyond museums and galleries into other sectors, organisations and parks, cultivating our idea of ‘what good looks like’. 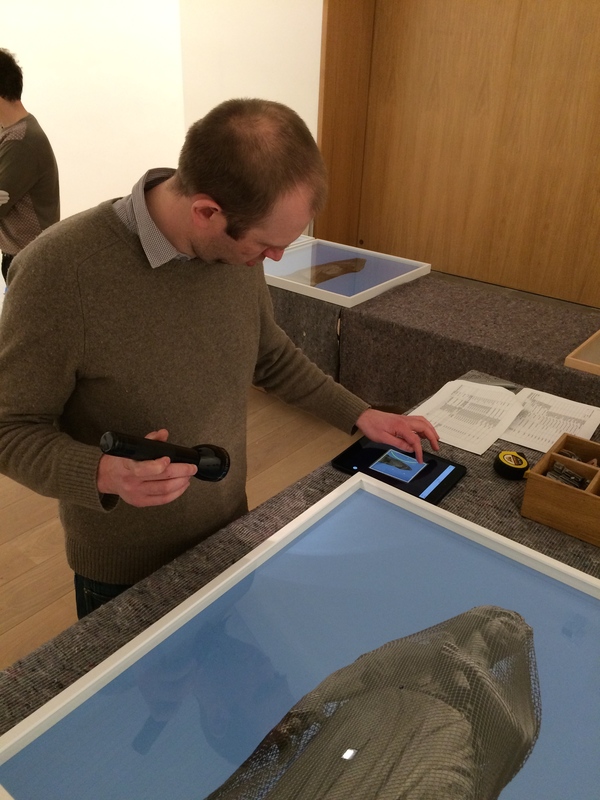 We want all our visitors to have the best possible experience with an added personal ‘Whitworth’ touch when the gallery reopens on February 14th, 2015.